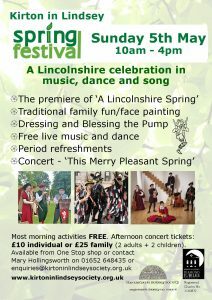 The next offering from the Lincolnshire Rural Touring Scheme is a family musical production brought by the Little Seeds Music Company. 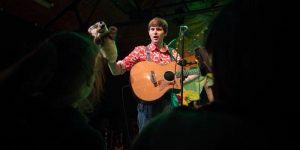 ‘Climb That Tree’ is the brand new show from award-winning songwriter and musician David Gibb. 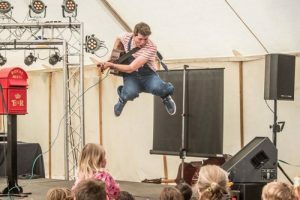 Join David on a musical journey through his hilarious and often surreal imagination which is guaranteed to have both parents and children singing along in no time, this is music that the whole family can enjoy together. Suitable for age 3 and upwards. Tickets: £6/£5 concessions or Family Ticket £18 (2 adults+ 2 children). Contact Martin Hollingsworth 01652 648435 or m.hollingsworth205@btinternet.com for tickets or more information. Tickets also available at One Stop in the Market Place. Error: Error validating access token: Session has expired on Saturday, 23-Mar-19 02:32:21 PDT. The current time is Thursday, 25-Apr-19 19:39:18 PDT.